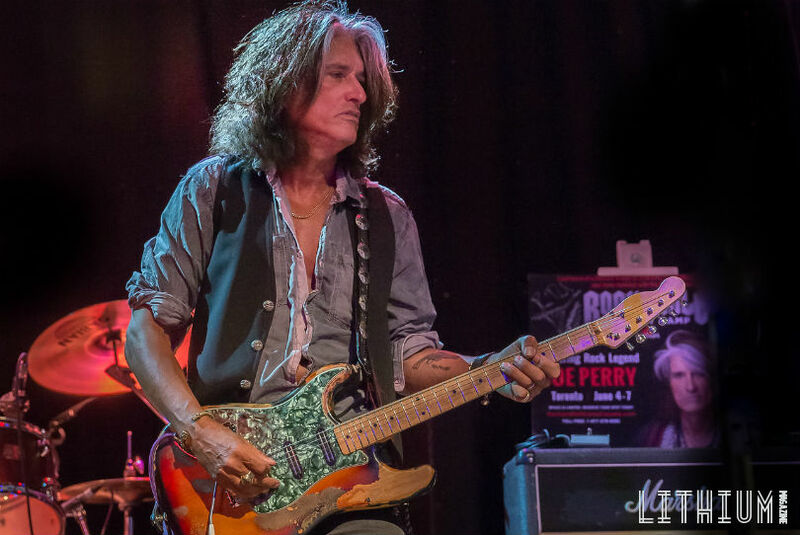 Aerosmith’s Joe Perry was rushed to a hospital in Coney Island after leaving the stage and collapsing mid-show. According to Page Six, the guitarist was performing with Hollywood Vampires, his side project with Alice Cooper, and Johnny Depp, when he suffered cardiac arrest at around 9:30 p.m. At this point, he seems to be in stable condition. Fans that saw the incident said Perry was clearly having trouble, and ended up sitting on the drum kit, before exiting the stage. He lost consciousness, and EMTs carried him out on a stretcher. Since Duff McKagan will be out with Guns N’ Roses this summer, Robert DeLeo (Stone Temple Pilots) will be handling the bass duties for Hollywood Vampires on their upcoming tour. The rest of the touring lineup will feature Alice Cooper, Joe Perry, Johnny Depp, Matt Sorum, Bruce Witkin and Tommy Henriksen. Hollywood Vampires, the band featuring Alice Cooper, Joe Perry (Aerosmith), and Johnny Depp, along with live members Guns N’Roses’ Duff McKagan and Matt Sorum, will be performing a special tribute to Lemmy Kilmister (Motörhead) at this year’s Grammy’s. He also added the following about a new song titled “As Bad As I Am,” from the deluxe edition of the band’s debut album, which they plan on playing as well. 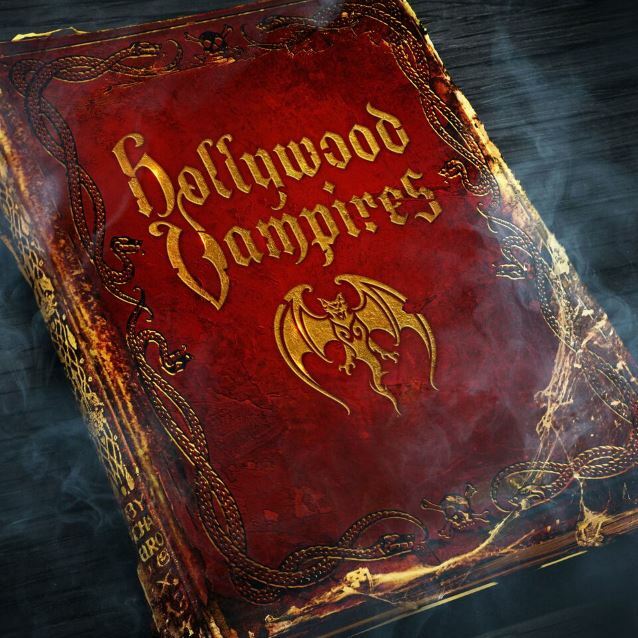 The deluxe version of Hollywood Vampire’s debut effort will be released on February 12, and the Grammy’s will air on February 15. Hollywood Vampires, the supergroup featuring Alice Cooper, Johnny Depp, and Joe Perry (Aerosmith), along with multiple special guests have premiered their cover of The Who’s “My Generation.” This particular track features Cooper, Depp, Tommy Henriksen, Bruce Witkin, and Zak Starkey, and will be on the band’s self-titled debut album, which will be released on September 11. According to Rolling Stone, Hollywood Vampires, the supergroup featuring Alice Cooper, Johnny Depp, and Joe Perry (Aerosmith), along with multiple special guests including Brian Johnson (AC/DC), Dave Grohl (Foo Fighters), Slash, Paul McCartney etc., have announced two Los Angeles, CA shows. Ex-Guns N’ Roses members Duff McKagan & Matt Sorum, and Cooper’s Tommy Henriksen & Bruce Witkin, will perform on these dates. The band will also be on hand before Rock In Rio to help the Starkey Hearing Foundation fit 150 people with hearing aids. These people will also be able to attend the show to listen to music for the first time. Hollywood Vampires self-titled debut album will be released on September 11.